Oh wow! I love the Super Doubles promotions at Harris Teeter! So many free groceries! 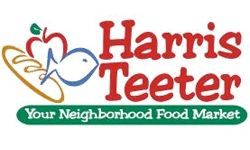 Harris Teeters in the DC area normally double coupons up to $.99 but occasionally they run super double promotions which double coupons up to $2.00 with a limit of 20 doubled coupons per day per VIC card (that’s their savings club card). So you may end up going multiple times this week as I plan to. Harris Teeter has e-coupons and store coupons available on their website and you can stack their store coupons with manufacturer coupons. Also, be sure to sign up for their email newsletter and eVIC club because that will offer you special discounts each week that aren’t normally advertised in the circular. Final Price: Free + $1.00 Money Maker on Sweet Potato Fries! Final Price: 4 for Free May be able to get 8 for Free since coupon doubles! You can find these and other great deals at Capitally Frugal and Southern Savers. wow this is awesome, makes me wanna move to DC area. I wish some canadian blogger did this. Previous Post Half Priced Starbucks! Next Post I joined the Yakezie Challenge!